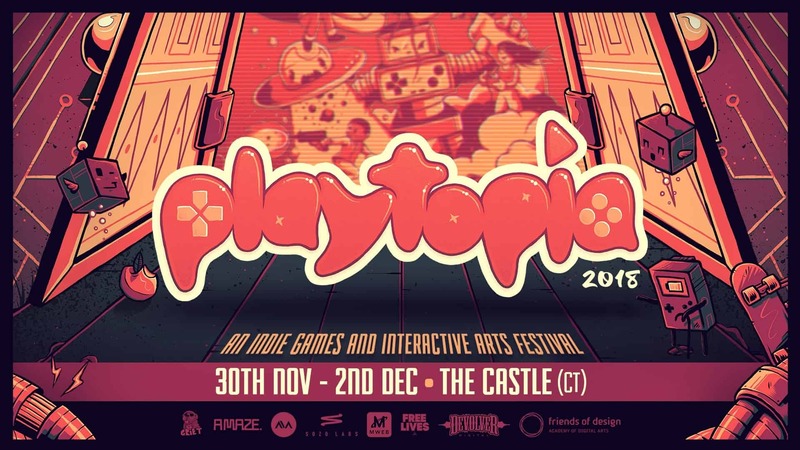 Free Lives (creators of Broforce, Genital Jousting and Gorn VR) has put together a unique three-day indie gaming festival called Playtopia. 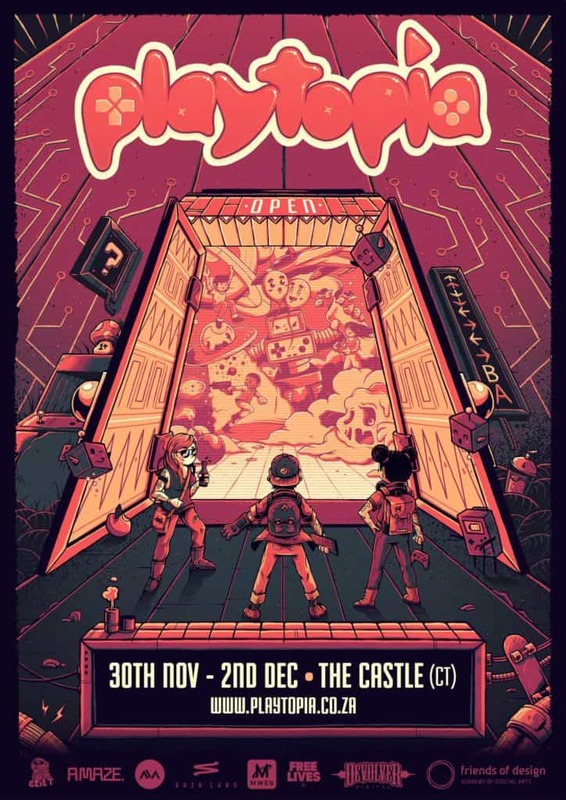 Taking place in the oldest building in South Africa, The Castle of Good Hope, the event is a “collision of past and future” that hopes to put the spotlight on South African indie game creators. Taking place from 30 November – 2 December 2018, attendees will be able to “enjoy a three-day marathon of music and experiential exhibitions by some of South Africa’s top interactive artists, as well as the international exhibition ‘Digital Gardens’ created by A MAZE./Berlin”. 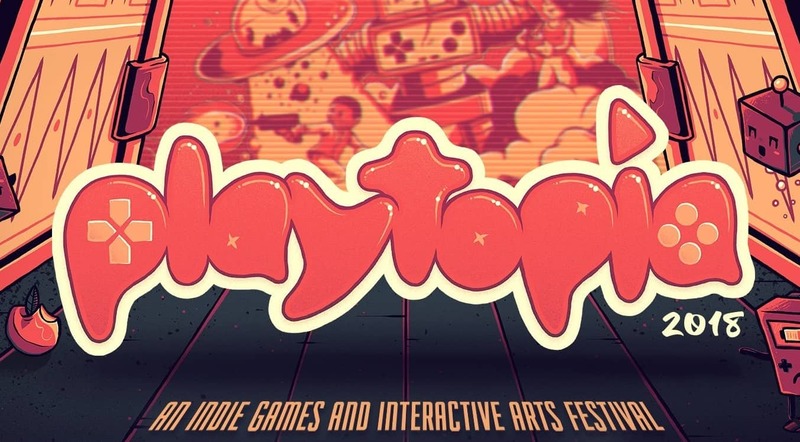 Better still, the festival will offer more than thirty in-depth looks at alternative indie games. Attendees will also get to experience a “Super Friendship Arcade room with games played on custom controllers”, as well as VR rooms, access to a beer garden and food trucks; and even a promisingly long lineup of electronic music artists such as HAEZER, DJ INVIZIBLE, ANG and Uppercut. It sounds like an event that should not be missed, which is why we are giving away two weekend passes! If you are ready for a chance to win, then simply keep scrolling down for all of the details. • Question: Which two speakers would you be most interested in listening to? Step 2: That’s it. Nice and easy! Bonus entry: Share this post on Twitter or Facebook, but make sure to include the #WinWithVamers hashtag so we can track it ? The Win With Vamers tickets to Playtopia 2018 competition closes on 16 November 2018 at 17:00. So please make sure to get your entries in before then. Disclaimer: This competition was made possible by the organisers of Playtopia 2018, who were gracious enough to offer us two weekend passes to giveaway to our readers. The Win With Vamers Marvel’s Spider-Man [PS4] competition closes at 17:00 on 16 November 2018. 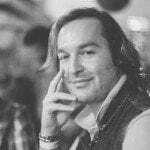 The person who provides the best submission, as judged by the Vamers staff, and who follows the competition instructions properly will be declared the winner of this competition. The judges’ decision is final and no correspondence will be entered into. The winner will be announced at Vamers discretion after the competition closes. Competition winners are required to get in touch with Vamers within seven (7) days of the winner having been announced. Failure to do so will result in forfeiture of the prize. Vamers will endeavour to deliver the prize within 2-8 weeks as described, however, cannot accept responsibility if the prize differs from advertisement in presentation or value. This competition is only open to residents of South Africa. Entrants under 18 years of age must seek permission from a parent or guardian before entering this competition. Entrants must be over 16 years of age or have parental consent to enter this competition. The main prize is valued at R640 and consists of: two (2) weekend pass tickets to Playtopia 2018. There is no cash or prize alternative and all prizes are non-transferable. Only one grand prize winner per competition unless otherwise specified. Entrants are free to enter as many of the other competitions as they would like, however only one entry per person will be accepted in each competition. Winners use and accept prizes at their own risk. Vamers and the prize sponsors, if any, cannot be held responsible for any injury, accident or loss of property as a result of accepting and/or using the prize. Winners who do not claim the respective prize winnings within 7-days of being declared a winner will forfeit the prize to Vamers. By entering this competition, entrants acknowledge that Vamers has the right to disclose any and all submitted information, whether personal in nature or not, for publication on radio, television, printed media, social media and other Internet publications. Entrance into this competition includes automatic subscription to the Vamers Store Newsletter. Vamers and the prize sponsors, if any, reserve the right to cancel the competition at any time and shall not be liable to entrants for any action whatsoever. Vamers reserves the right to alter competition rules or prizes at their own discretion. Alterations become effective immediately and entrants shall not have recourse against Vamers or the prize sponsors. This competition is not open to staff (or members of their immediate families) who may be associated with the Vamers website or prize sponsors. Responsive. Clean. Vibrant. Vamers has a new look.